SOAR, Lakeland University’s professional women’s network, informs, connects and empowers women by providing opportunities for professional development and personal growth. SOAR: Women Reaching Higher is an annual event with the goal to inspire and encourage women to reach their full potential. It offers the opportunity for mentoring, leading and networking in a supportive and respectful environment. 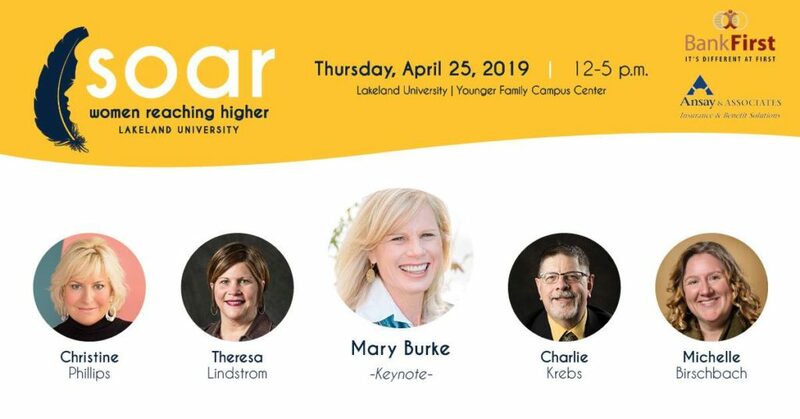 Register for the 5th annual event, sponsored by BankFirst and Ansay & Associates, on Thursday, April 25, 2019 at Lakeland University in our brand new campus center!